My experience at Cecile’s was one of the best out of all the boutiques and dress shops I’ve been too. The staff is extremely helpful in finding the right dress for you. I had to get a new dress the weekend before an event and Jas helped me pick out the most beautiful dress in such short notice. All the dresses are amazing but the employees there are what makes Cecile Boutique so special. They welcome you with open arms to be a part of the Cecile family and that’s what sets them apart from other dress shops in the area. I love Cecile boutique! Shana and her stylist helped to get me ready 100 percent for the Mrs. United States pageant, but even more importantly I trusted Shana with her style expertise for everything from shoes to accessories to my very important evening gown. I highly recommend Cecile boutique, and Shana and her team, to everyone whether getting ready for prom, a pageant, or a fun night out! Cecile Boutique will ensure that you are dressed impeccably for your event. I can't say enough about Shana's amazing style expertise and the confidence I felt walking on stage and interviewing throughout my time at Mrs. United States. She was an amazing part of my team in helping get me ready and my go-to person every step of the way. My experience at Cecile Boutique was amazing. The Cecile family was so welcoming and helpful throughout my pageant experience. Being styled, trained and having headshots taken by Cecile was incredibly helpful, and because of that I placed 2nd runner up in the Miss Delaware Teen USA pageant. The pageant training was extremely helpful, especially the interview portion. 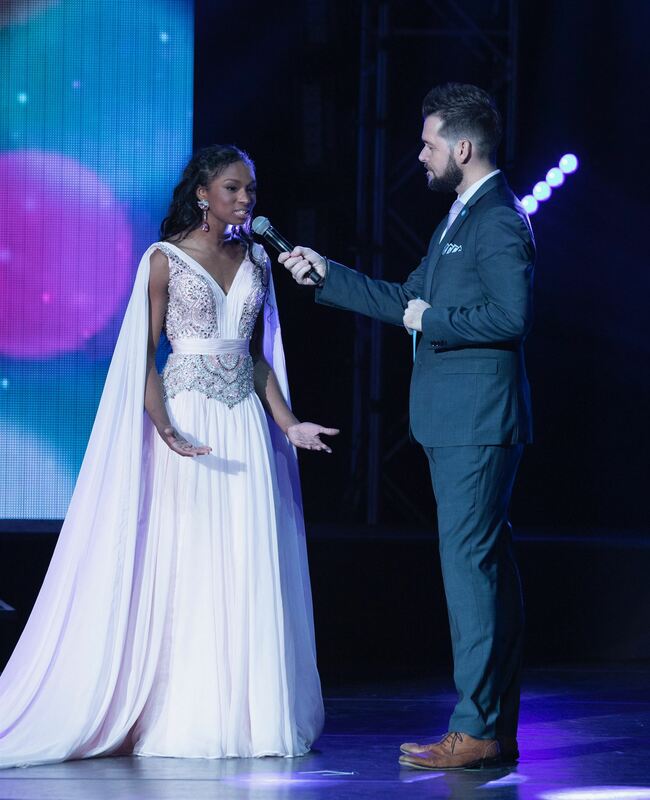 Shana makes sure you won’t go into a pageant blindsided. Walking lessons were also extremely helpful as well. No other dress shop compares to Cecile! My Cecile Boutique is more than just a dress shop. They’re family. The experience every time is so warm and friendly. They are always sure to make me laugh, and feel like a princess. They are clear that their ultimate goal was making sure that I LOVED my dresses and wardrobe. 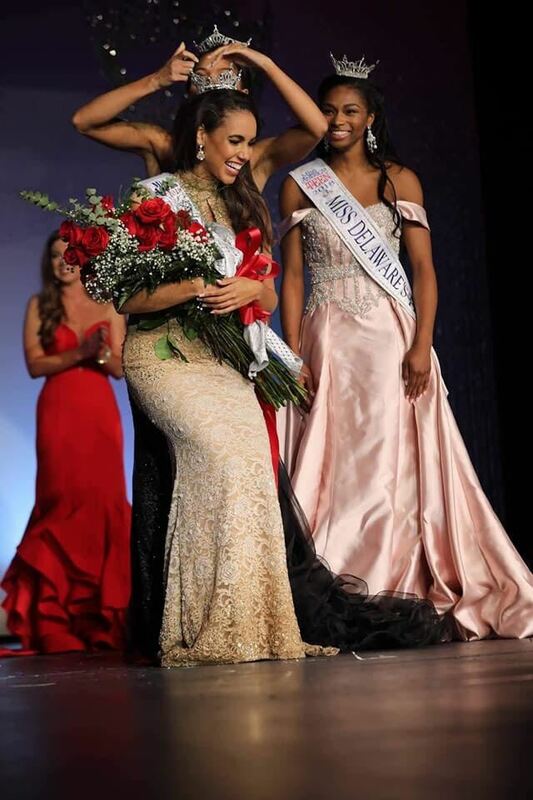 I have personally known Shana for five years and ever since, she has made sure that I was going to be successful one hundred percent in every pageant I have competed in. I can’t wait to see them grown and continue my future endeavors with the team. 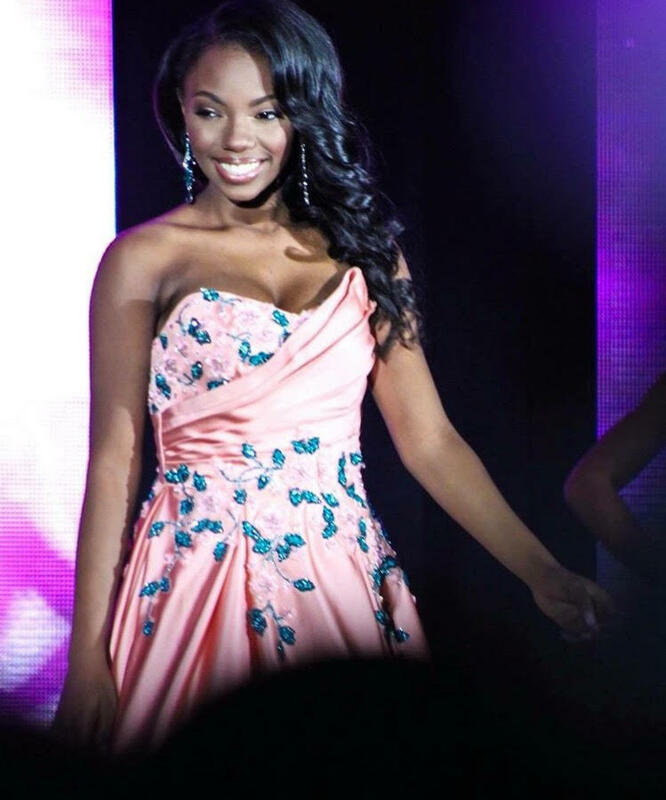 My experience with the pageant was amazing! I couldn't have done it without the help of Cecile Boutique. Steph and Jas helped me find the perfect dresses! They make sure you feel beautiful in all of their dresses. Mrs. Shana was a phenomenal coach. She helped me with being confident and elegant. Mia Jones helped teach me how to walk because I definitely did not know how to (lol). The ladies over at the boutique will always have a special place in my heart! They make it their duty to make every girl feel confidently beautiful. Shana & the amazing staff at Cecile Boutique make you feel like a queen as soon as you walk in the door. 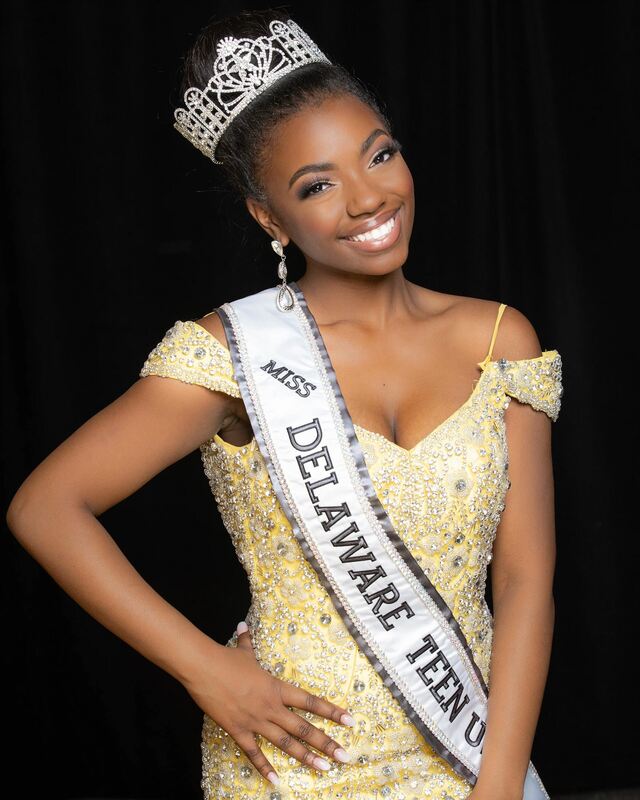 I was so pleased with my wardrobe for Miss Delaware Teen USA 2018! They ensured that I was dressed in nothing but the best & made me feel like a true princess in each & every gown. 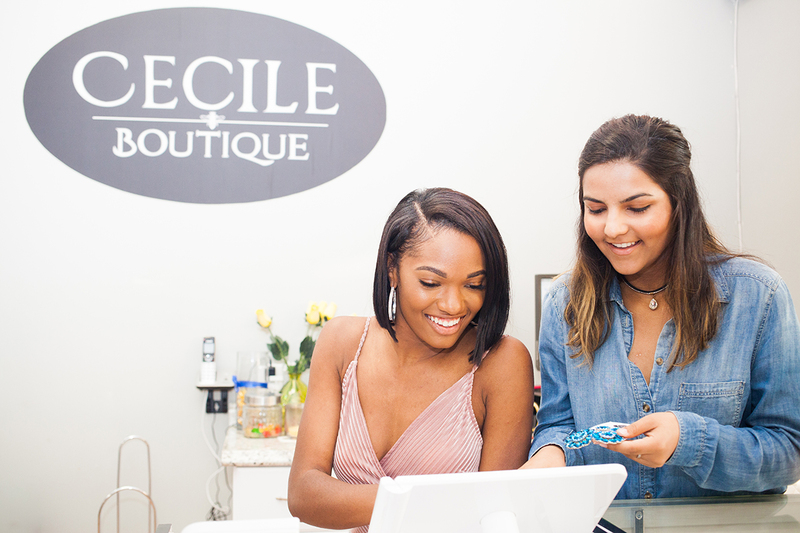 Cecile Boutique is my official wardrobe sponsor during my reign as Miss Delaware Teen USA 2018 & has been an absolute saving grace. All of their unique & beautiful pieces are a staple in my pageant wardrobe. I am so thankful for this one of a kind dress boutique that is my one stop shop for all things pageant & beauty related! Cecile Boutique has the best pageant dresses around. There is no store like them, the workers are genuine and warm hearted. They helped me find my pageant gown and trust me, there are a lot to choose from! On top of finding my perfect wardrobe I got pageant coaching from both Ms. Shana Williams, a former Mrs. Delaware in 2011, and from Ms. Mia Jones, the former Miss Delaware USA. Shana helped me with my walk and interview. I felt very prepared and comfortable with Shana. She asks you questions that you would have never thought you would be asked. At the end of it I felt very prepared for my interview with the judges for Miss Delaware Teen USA pageant, and I won best interview all thanks to Shana. When it came to my walk she worked with me and pushed me to make sure I looked the best I can. Mia Jones helped me with my dance routine and walking in my evening gown dress. I never felt uncomfortable or judged in a negative way while working with Shana and Mia, they are both big hearted people and I am beyond excited to come back next year for the Miss Delaware USA pageant. Big thanks to Jasnoor Hundal and Stephanie Zampini for all their great help, and of course thank you Shana and Mia for making me feel like a strong woman while looking like a princess. Cecile Boutique is one of a kind! Cecile Boutique is absolutely amazing! I have had the honor of working with them and observing how they treat every single one of their customers as the queens that they are. Cecile as everything from wardrobe to accessories to pageant coaching. 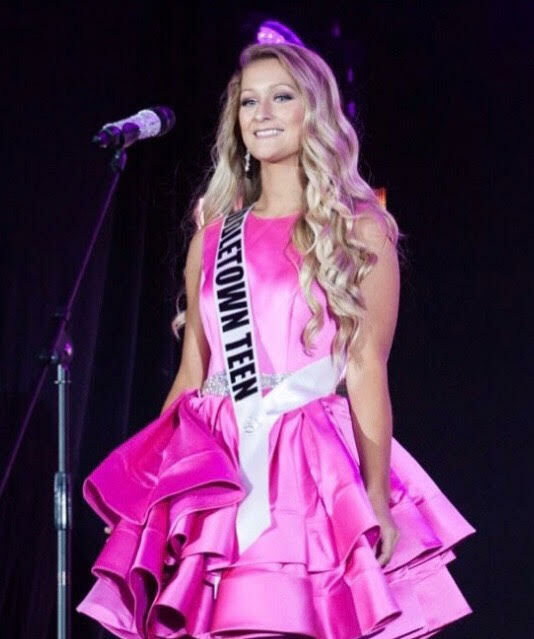 I promise you that Cecile Boutique will make sure that you have the perfect wardrobe for any event, whether it’s for competing in a pageant or even attending a school dance. They have it all! I love Cecile Boutique! I love Cecile's! Every person there is so helpful and knows how to find the perfect pieces to fit your personal style - Cecile's takes the time to make each person feel and look unique, you know that you won't show up to an event looking like somebody else there. Cecile Boutique always makes sure I look and feel my best! They’ve gone above and beyond for me to find the perfect dress on many occasions so I’m always confident in my wardrobe, especially when I attended Miss USA last summer! Shana introduced me to the Jovani It Girl Contest, which was such an incredible experience. They also took me to the Jovani showroom to help bring my dream pageant gown to life! 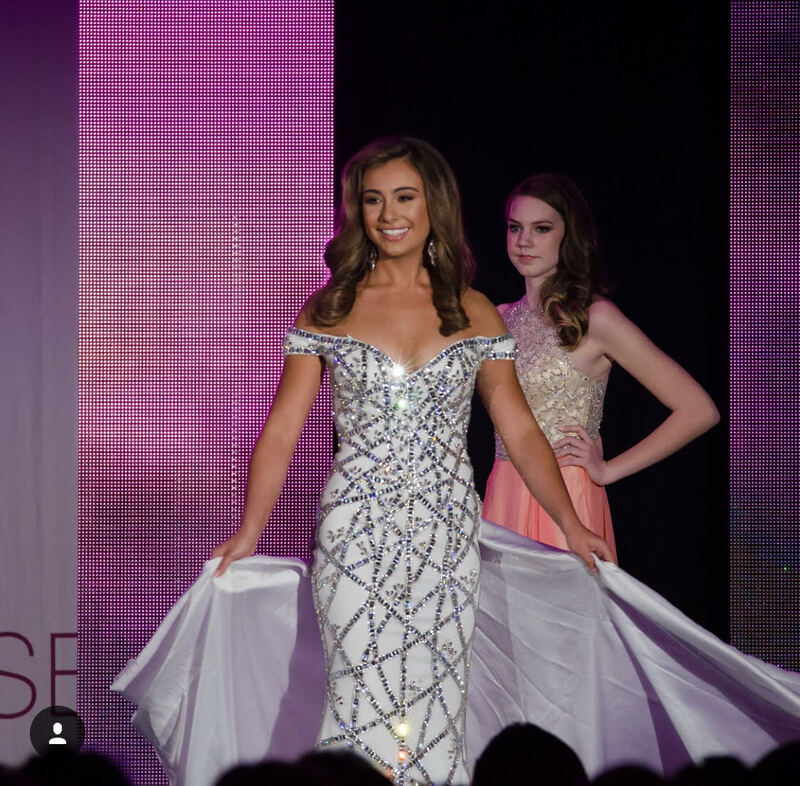 So whether it’s rocking the stage at the your next pageant or feeling like a princess at prom, I know you’ll find the perfect dress at Cecile Boutique! Cecile Boutique isn’t any other dress shop in Delaware. The first time I walked in the store, the Cecile family makes you feel like a princess. 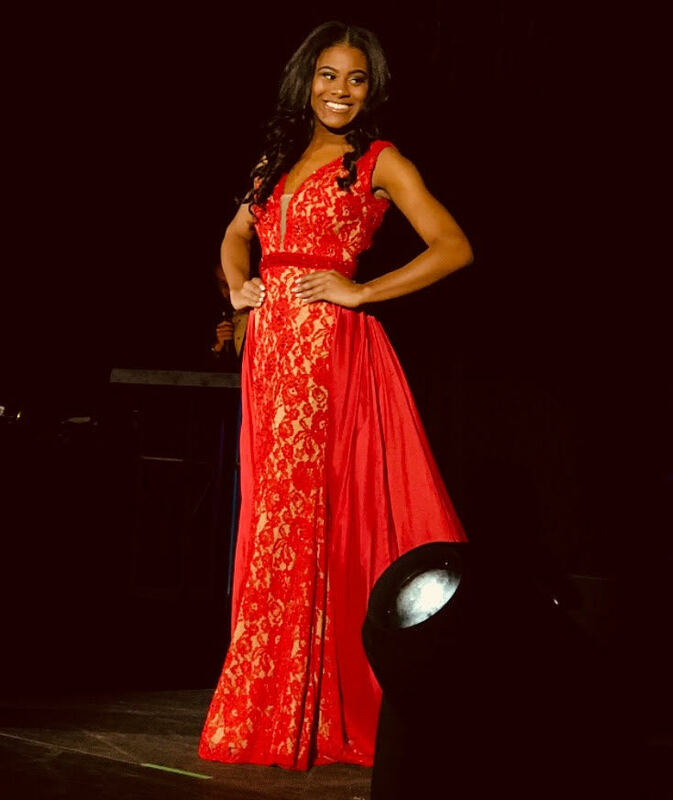 Finding my wardrobe for Miss Delaware Teen USA 2019 was absolutely amazing. Shana, Mia, Hilary, and Jas are the most helpful staff you could ever come across. All of their pieces are truly unique and unforgettable. Cecile is more than just a store. It’s a family. I was so blessed to work with Shana and Mia for coaching. They showed me how to be my best self and feel confident to capture the crown. I’m so thankful to have chosen Cecile Boutique during my pageant experience! At Cecile Boutique you get more than a beautiful gown, you receive an experience that provides confidence and beauty in every step of the way. I had the privilege of attending Cecile’s grand opening a few years ago and fell in love with the owner, Shana Williams, and her story ever since. Having a Masters in Entrepreneurship I am a huge supporter of small owned businesses, especially when they are for the greater benefit of the community. Cecile Boutique has been an amazing part of my pageant journey. 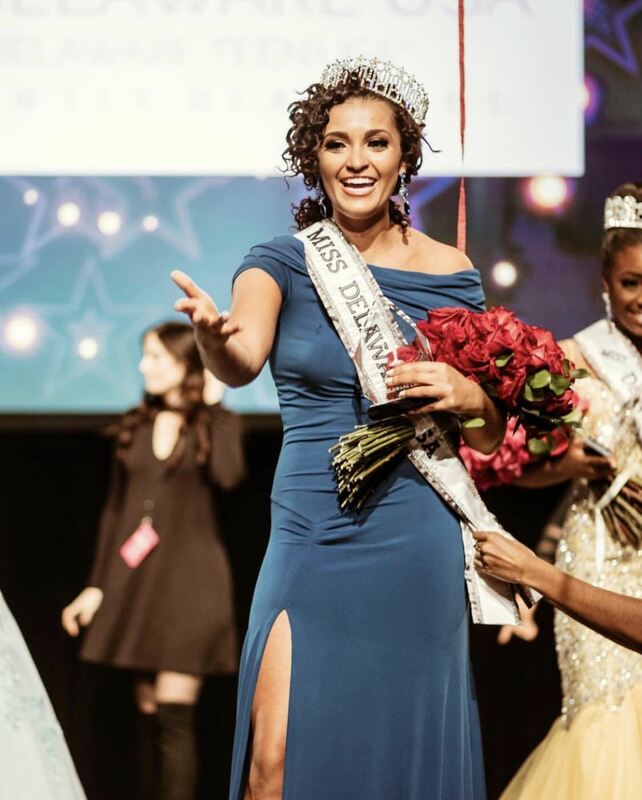 Stylist Mia Jones was a huge aspect of finding my winning gown for Miss Delaware USA 2019. After trying on only one gown I immediately knew it was the one. Now I have the honor of having Cecile dress and style me for the year as Miss Delaware USA 2019. I would recommend their services to anyone and everyone. Thank you for everything Shana!